Dhaka, 3 May, Abnews: Britain and the United States on Monday launched a research programme billed "the most detailed and extensive examinations of a massive Antarctic glacier ever undertaken" to gauge how quickly it could collapse. 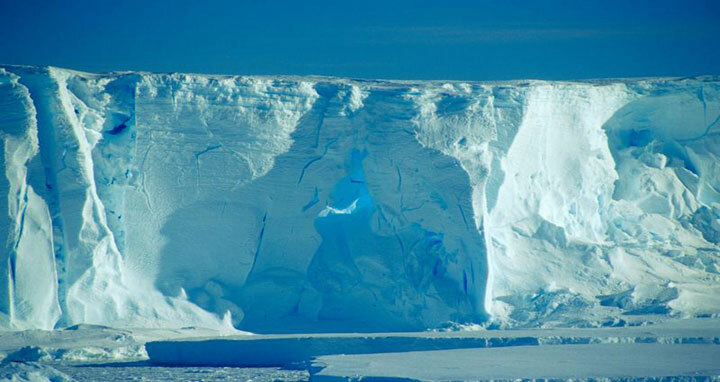 Teams from Britain's Natural Environment Research Council (NERC) and the US National Science Foundation (NSF) will visit the Thwaites Glacier in West Antarctica to assess if its cave-in could begin in the next few decades or centuries. "The collapse of the Thwaites Glacier in West Antarctica could significantly affect global sea levels," the NERC said in a statement. Its executive chair Duncan Wingham added the fate of the glacier is "one the big unknowns" in Antarctic science. "We currently do not know enough about the likelihood, timing and magnitude of the collapse of West Antarctic glaciers such as Thwaites for countries to be able to plan accordingly," he said. The £20 million (22.8 million euros, $27.5 million) collaboration will see 100 scientists and the most up-to-date instruments and techniques deployed to one of the most inhospitable regions of the world. It will include drills able to make access holes 1,500 metres (4,900 feet) into the ice with jets of hot water and autonomous submarines. "Satellites show the Thwaites region is changing rapidly, but to answer the key questions of how much, and how quickly sea level will change in the future requires scientists on the ground with sophisticated equipment," said William Easterling of the NSF. The five-year, eight-project venture -- called the International Thwaites Glacier Collaboration (ITGC) -- is the largest joint project undertaken by the two countries in Antarctica for more than 70 years. Researchers from South Korea, Germany, Sweden, New Zealand and Finland will also contribute to the international effort "to deliver answers to some of the big questions for scientists trying to predict global sea-level rise," NERC added. British science minister Sam Gyimah said: "Rising sea levels are a globally important issue which cannot be tackled by one country alone." According to NASA, Antarctica lost 125 gigatonnes of ice annually between 2002 and 2016.